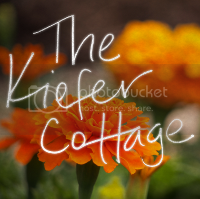 The Kiefer Cottage: Kindling, anyone? First, a few confessions/rants. 1) I called all the sticks in the yard "Kindle", as in "Do you think anyone would take this Kindle for free if we posted it on Craigslist?". I immediately said, "That's not the right word. What am I trying to say, Ryan?" Thank goodness I'm married to a wordsmith who doesn't laugh at me too much when I confuse the word for big pile of little pieces of wood with an Amazon e-reader. Typing that out makes me feel even more foolish, but that's what I'm here to do. Be foolish on the interwebs! 2) I am having a hard time not schooling people at exercise class on elbow room etiquette. Here is what a class should look like. Right? Everyone should be as evenly spaced as possible so when we're hopping, skipping, and shaking our boo-tays, we can do so without knocking into someone else. Luckily, I have a friend who has acted recently as a buffer to the space encroaching workout fiends, but still, it's not like I'm the one squeezing in between folks to carve out a space where there previously was none. I arrive early to plant my feet, and then others get so close I cannot move. It always happens after class has started, so there's often no other place to move to in the room, either. It's a conspiracy, I tell you! 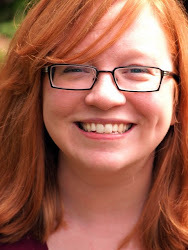 Maybe I just look like someone who needs close company. Perhaps I appear lost, confused, and lonely. I'm thinking seriously, though, about eating chili for lunch every day and not washing my workout clothes. Before I resort to those measures, I'll wait for people to stop sticking to their resolutions and hope they stop coming to class. 3) Okay,I can't think of another thing to confess or complain about. So I'll get to the point. Let's see a little progression of the work we've done in the yard. Scary. I half expected to find a dead dog in here. Gate down. Millions of Kindles. It took a looooong time just to bag up half the sticks. The bottom half will take even longer because it's very dense. Here's what Ryan did on Monday afternoon. Tote that barge! Lift that bale! Our yard looks bigger already, although we still have a long ways to go. It'll get worse before it gets better. I'll thank global warming for all this lovely landscaping weather. Today, however, it's below freezing, so we'll have to wait until it's normal to have warm temps to work again...like next week. I'm so jealous of the "winter" that you're having! Do you normally have snow? I'm not familiar at all with the climate where you are. It's a year for the record books around here because we've had almost no snow. Last year, we had a winter wonderland for a few months. I've lived here less than two years, so I don't know what to expect, really! It's a shame you didn't get any photos of me lifting large chunks of wood over my head like a manly man, or standing atop that 6-foot stump to bring down the cedar, again, like a manly (okay, probably insane) man. don't forget to deliver that fencing to the scrap yard for $$!! !